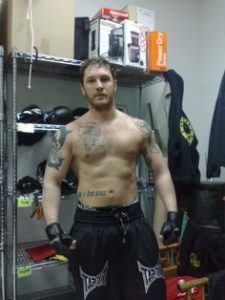 Tom Hardy is known for the alpha male roles that he has donned over the years, and a lot of that has come because of his stone-carved body. 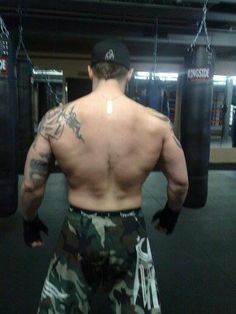 He has bulked up for roles like Charles Bronson in Bronson and Bane in The Dark Knight Rises and has got ripped for roles like Tommy Conlon in Warrior. Ever wondered how big Tom Hardy is? The stats below will give a clear picture! Tom Hardy trusts his training entirely to his long-time coach Patrick ‘P-Nut Monroe’. Patrick believes in a system of training he calls ‘signaling’ in which the body is trained throughout the day up to four times in small bursts. For the role of Charles Bronson, Hardy concentrated more on bodyweight exercises like pull ups, press ups, push ups and ab workouts. He had to gain weight and his nutrition mainly included a lot of carbs and protein. 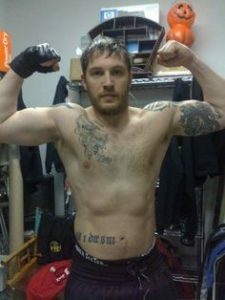 For Warrior, Hardy had to gain about 27 pounds of lean muscle mass and also get ripped. Following his trainer’s schedule of ‘signaling,’ Hardy’s routine was divided into four phase of the day- morning, afternoon, evening and night. For each session, he trained for not more than twenty with medium-light heavyweights to maintain an athlete’s fitness. 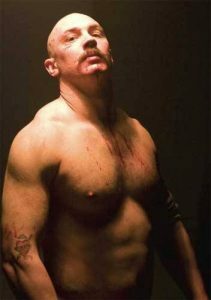 When Hardy played Bane, he had to be more bulky than what he looked in Warrior, but leaner than Bronson. After going through a gruesome training plan, he was weighing around 195-198 pounds of pure muscle. During his preparation for Warrior, Hardy consumed 5-6 meals of lean protein and complex carbohydrates like chicken, fish, vegetables and oats. This, however, drastically changed when he had to put on bulk for the role of Batman in Dark Knight Rises. His diet included lots of carbs, milk, protein shakes, and other supplements.